Below are some of the WordPress websites we’ve built for clients in recent years. Fun Tours Wales does exactly what it says on the tin! We built Carole’s original website a good few years ago, and every now and then give it a little revamp to take advantage of new technology and update the look and feel. The latest revamp has given the website a completely new, modern look, and Carole is just as delighted with it as we are! Bodior Farm is an interesting place; as well as a thriving farm shop stocking great quality food, the business also rents out holiday cottages. We were asked to build a website showing off both sides of the business, and to write the website copy. Bodior provided fantastic photos which they’d commissioned from a professional photographer. Bryn Celyn Farm Shop was about to launch, so they asked us to take care of everything about the website. We provided a simple logo, wrote their website copy and then built a website to show off their products. 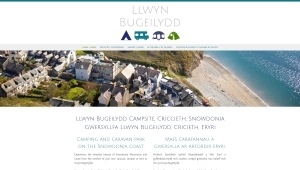 With the Llwyn Bugeilydd website we needed to create bilingualism on a budget, so rather than using the WPML plugin we created columns so that each page could contain English and Welsh together. We created the logo and worked with Visit Wales to ensure there were some smashing photos of the Criccieth area to illustrate the website. 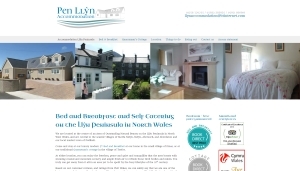 Pen Llyn Accommodation wanted a new website to showcase their holiday cottage and luxury B&B on the Llyn Peninsula. The client wanted a fresh, new look after years of living with a self-built Vistaprint site that wasn’t really doing the job, so that’s what we delivered, along with a logo – and we got a glowing testimonial in return! 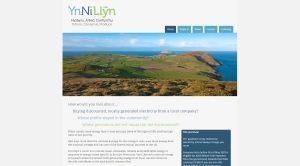 Ynni Llyn needed a website similar to one they’d had five years ago but which no longer existed. All we had to work from was a tiny thumbnail image and a couple of concept PDFs left over from the original site. We altered the design a bit but managed to keep a similar look and feel. 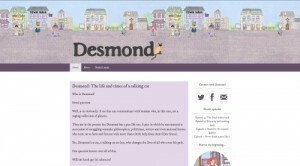 Desmond the Cat is a weekly serialised story about a talking cat. The client wanted to publish the story in blog form, so we designed every aspect of the site (including watercolour illustrations and a logo), built it and provide ongoing management services. Debs’ daughter Emily decided she wanted to start a blog. 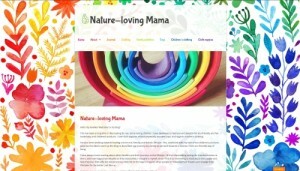 Writing as ‘Nature-loving Mama‘, Emily writes about eco-parenting and her love of the natural world. She wanted something very colourful and we worked closely together to design a website that couldn’t be more colourful if it tried – even down to the navigation links each being a different colour of the rainbow! The Snowdonia Pass website was great fun to work on – challenging, but in a good way! We needed to create custom post types to output details of member offers, and then created custom templates to get the layout and styling just right. Every website is a lesson, and we really learned some cool new tricks with this one! More Than Beds, a furniture store in Bangor, needed a new website to replace the tired old website that Yell/Hibu had created for them. 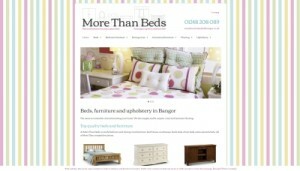 The background stripes are inspired by 1970s flannelette bedding, giving the site a retro yet modern look. We also created their new logo, as they didn’t really have a proper one when they asked us to build the website. 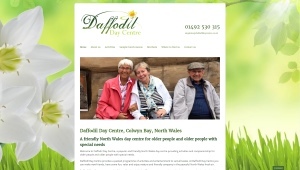 We have been working with Daffodil Day Centre since 2009, when we hand-coded their first ever website. When the business rebranded a couple of years later, we hand-coded a replacement website. In 2015 Daffodils decided to upgrade to a WordPress website, which again we designed and built for them. Mooshkin is our Debs’ online store where she sells her hand crafted gifts and greetings cards. As a web designer there’s nothing quite like the freedom of being able to design a website that looks exactly how you want it to, so we’ve really gone to town with this one! 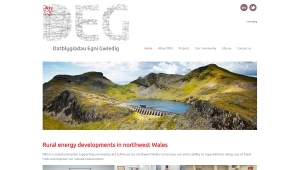 DEG wanted a minimalist bilingual website to showcase their projects ahead of an awards ceremony in which they’d been nominated for an award. The website features an embedded custom Google map and a library of downloadable documents. 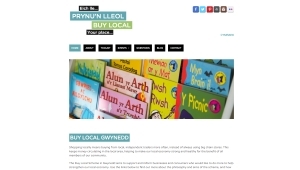 Buy Local Gwynedd is a project by Gwynedd Council to promote the concept of shopping locally and to support local businesses in promoting their products, services and events. The website includes downloadable ‘toolkits’ and events listings. Y Bont provides services to children who have been, or are at risk of being, separated from their families. We built the charity a simple bilingual website to inform service users of the services Y Bont provides. Video Llyn is a DVD and video game rental store in Pwllheli. The website we built them enables visitors to see trailers before they call in to the shop to hire a DVD, and to leave reviews and ratings after they’ve watched the film. Tyn y Coed Caravan Park in Llanrug, Caernarfon, offer a beautiful setting for your static or touring caravan. We built a simple website for them, which includes a photo gallery and lots of information about things to do in Snowdonia. 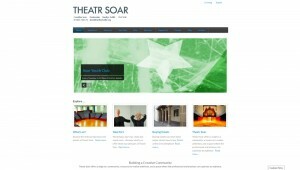 A wonderful theatre and arts centre in Merthyr Tudful, Theatr Soar wanted a website that would inform visitors of the history of the building and the options to hire rooms for meetings and events, and which could be integrated with Patronbase for ticket sales. 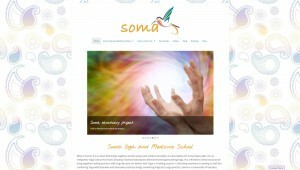 Soma Yoga and Medicine School‘s website has an information hub, an events calendar, and ecommerce capabilities enabling visitors to book places on courses. 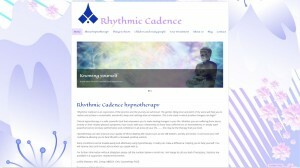 A simple information website with blog, for Rhythmic Cadence who provide hypnotherapy services. We built the website and the client added her own content. Carol and Martin, two British artisans living and working in France, needed a bilingual online store for their business, La Maison de Pédeloup, so that they could sell their beautiful hand-crafted home wares all over the world. The stunning Marigot Beach Club Spa & Wellness Retreat in St Lucia needed a website showing visitors the beauty of the resort, as well as integration with ArcRes for reservations. JAKLOT had been let down by their previous developers, so we took over their WordPress ecommerce website and completely rebuilt it. Their products have many variations and there are lots of postage options, so we installed premium plugins to manage these features. 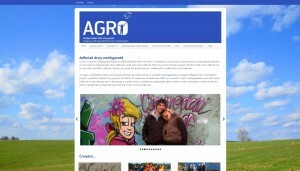 AGRO Cymru is a charity providing support and activities to people in recovery in Anglesey and Gwynedd. They needed a bilingual website showcasing their services and activities, with a gallery of photos of their fantastic allotment project.